Put perfect nail color on lock down. 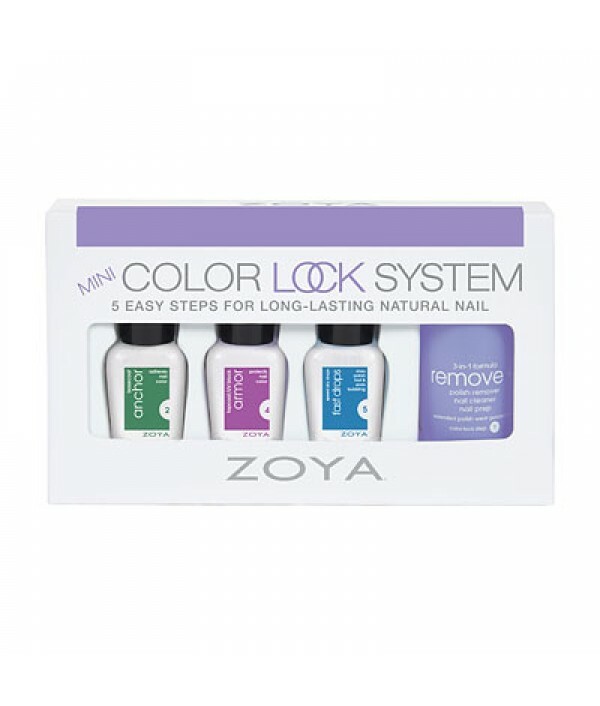 The Zoya Mini Color Lock System surrounds polish with a protective barrier against moisture, bubbling, and chipping. Includes the following items:.25oz Anchor Base Coat.25oz Armor Top Coat.25oz Fast Drops1oz ..